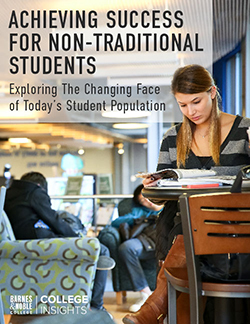 Barnes & Noble Education, Inc. (NYSE:BNED), one of the largest contract operators of bookstores on college and university campuses across the United States and a leading provider of digital education services, today reported sales and earnings for the third quarter and year to date periods for fiscal 2016. Fiscal year to date sales of $1,513.3 million increased $14.3 million, or 1.0%, as compared to the prior year period. Third quarter sales of $518.4 million decreased $3.2 million, or 0.6%, as compared to the prior year period. The Company reported a net loss of $(3.6) million, including a non-cash impairment loss of $8.5 million, net of tax. Excluding the impairment loss, the Company reported non-GAAP net income of $4.9 million during the 13 weeks ended January 30, 2016 which is $3.8 million lower than the prior year period. Comparable store sales decreased 4.1% for the quarter. Consistent with the past, the Spring Rush period extended beyond the quarter due to later school openings, as well as to the continued pattern of students buying course materials later in the semester. Factoring in the three additional weeks of February, comparable store sales decreased 2.9%, which is a slight improvement from similar comparable results for the second quarter. 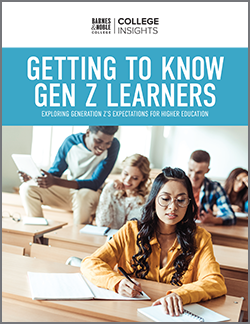 “Course material sales for the Spring Rush period were adversely impacted by decreased enrollments in two year community colleges,” said Max J. Roberts, Chief Executive Officer of Barnes & Noble Education, Inc. Comparable store sales excluding two year community colleges decreased by 2.2% for the quarter and 0.9% year to date; and factoring in the three additional Spring Rush weeks decreased 1.2% for the quarter and 0.5% year to date. In an effort to reduce and manage digital expenditures, while at the same time maintaining high quality digital products, the Company has taken the following actions: the Company is closing its Yuzu® offices and eliminating staffing in California and Washington, resulting in non-cash impairment and restructuring charges; the Company worked with VitalSource, a part of the Ingram Content Group; and the Company acquired LoudCloud Systems, Inc. The Company has established a long-term relationship with VitalSource, a global leader in building, enhancing and delivering digital content. This collaboration will allow the Company to significantly lower its future digital expenses. “Our relationship with VitalSource will provide for a seamless transition with a Yuzu branded product, ensuring students continue to have an excellent digital reading experience and access to a broad digital catalog,” said Mr. Roberts. The acquisition of LoudCloud, a sophisticated digital platform and analytics provider with a proven product and existing clients in the higher education, for-profit and K-12 markets, positions the Company to be able to provide a robust digital learning platform to drive improved outcomes for students and to better serve its clients. LoudCloud’s current product capabilities include a competency based courseware platform, a learning analytics platform and services, an eReading product, and a learning management system (LMS). Its software captures and analyzes key behavioral and performance metrics from students, allowing educators to monitor and improve student success. The acquisition of LoudCloud closed on March 4, 2016 for a purchase price of $17.9 million and was financed completely with cash from operations. During the third quarter ended January 30, 2016, the Company recorded a non-cash impairment loss totaling $12.0 million ($8.5 million, net of the tax benefit), related to all of the capitalized content costs for the Yuzu eTextbook platform, and also an impairment of its investment in Flashnotes. The Company expects to incur restructuring charges for severance, retention, and lease terminations of $7-$8 million in the fiscal fourth quarter of 2016 and $1-$2 million in the fiscal first quarter of 2017. It is expected that approximately $4.0 million of these fourth quarter charges will be non-cash. 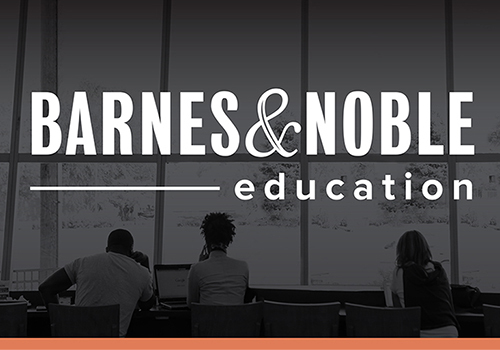 General information on Barnes & Noble Education, Inc. can be obtained by visiting the Company’s corporate website: www.bned.com.